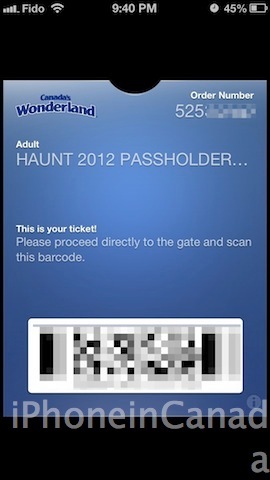 Passbook will automatically detect your location and pop up on your iPhone’s lockscreen to allow you to quickly scan your tickets. 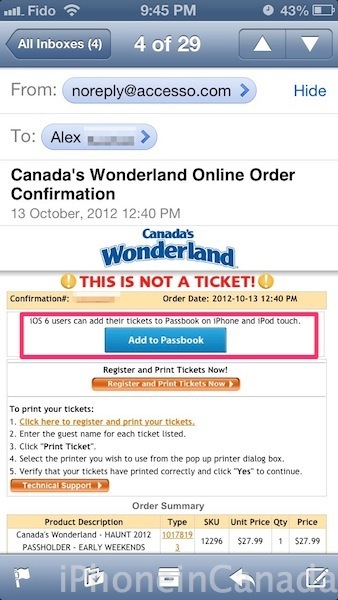 So far, we have detailed how it has worked brilliantly with Porter Airlines, Cineplex Mobile, Starbucks (with a workaround for now) and Sephora to Go (for the ladies!). 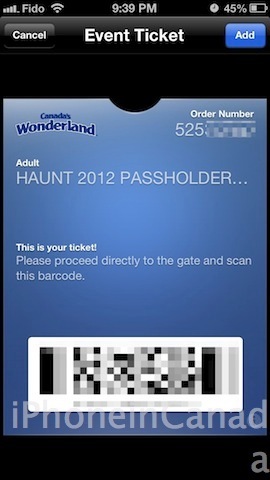 Let us know if you plan on visiting Canada’s Wonderland anytime soon and if you plan on trying out Passbook with your tickets. 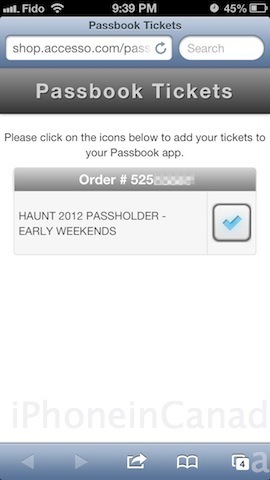 Thanks to Alex for sending these in!